to impose proper regulation of these dangerous machines, and ultimately to restore electricity to Australian at globally competitive prices. The wind energy industry has presented itself as a vital part of the solution to man-made global warming. Many have embraced this proposition. DeFrock notes that this postulation is somewhere between a noble fantasy and a serious fraud. DeFrock’s principal concern is the present and increasing environmental and human damage which wind turbines impose largely, but not only, upon rural communities. DeFrock has access to truly independent experts and researchers in most relevant disciplines and will also access the work of the Waubra Foundation and the ‘Stop These Things” and AWED and other websites. DeFrock will endeavour to prepare and distribute a number of key documents that will provide politicians, responsible bureaucrats, journalists and the public with must-know facts about the wind industry in the hope that this will lead to dependable, rational, affordable and safe power generation. 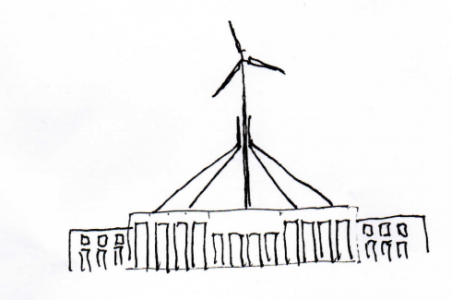 Beyond this DeFrock will produce advice to the public on bringing the wind industry to account. DeFrock commits to use its best efforts to identify and present the truth about the damage wind turbines causes to individuals, families and power consumers. DeFrock has not sought, nor received, funding from any third party.